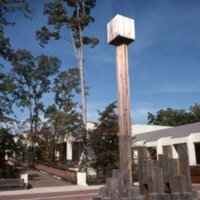 35 mm color slide of sculpture in a courtyard atTall Oaks Village Center. Image shows the wooden sculpture pieces, a wooden footbridge, landscaping, and shops and offices in the center. 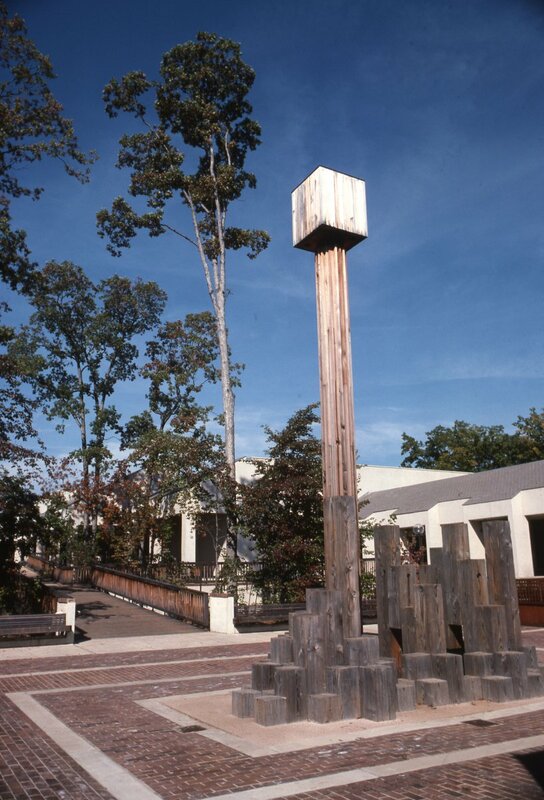 unknown, “Sculpture, Tall Oaks Village Center,” Reston@50, accessed April 18, 2019, http://reston50.gmu.edu/items/show/63.